The Balinese have very strong spiritual roots and despite the large influx of tourists (1M) over the year, their culture is still very much alive. 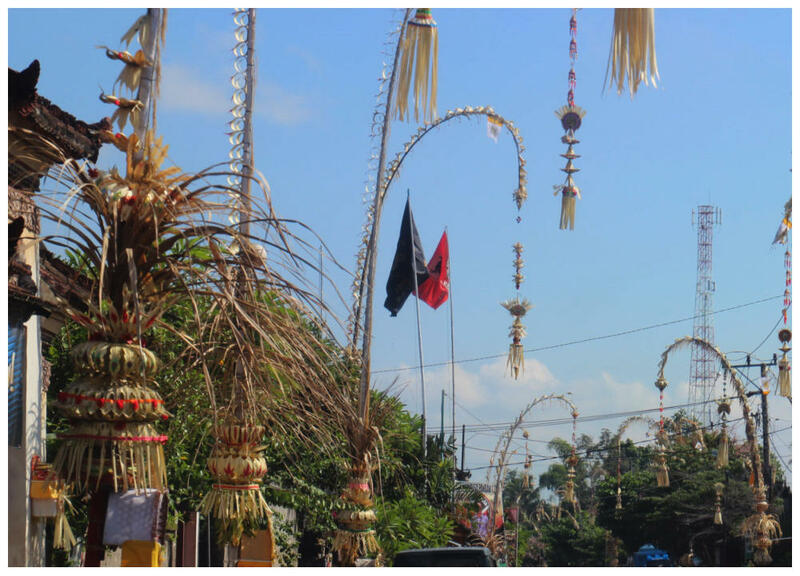 Rituals and ceremonies are seen almost every day in Bali with 5 main ceremonies covered: Ritual for God, Ancestor, Priest, Human life ceremony and some for the evil spirits. 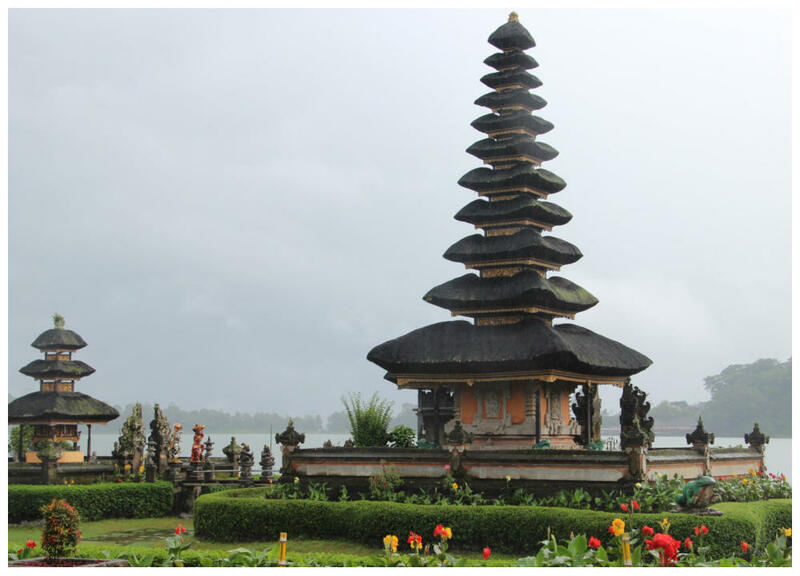 Bali is known as the Island of Gods, but it could easily also be called the Island of Temples. There are over 20,000 pura (Balinese for ‘temple’) on the island, some clinging to clifftops, others hugging the coast, and even some nestled in the mountaintops. The main religion in Bali is Agama Hindhu Dharma, which originally come from India, but compared to India, the way of practicing is different because the Hindhu in Bali has a blend with Buddhist, Javanese and ancient indigenous beliefs. 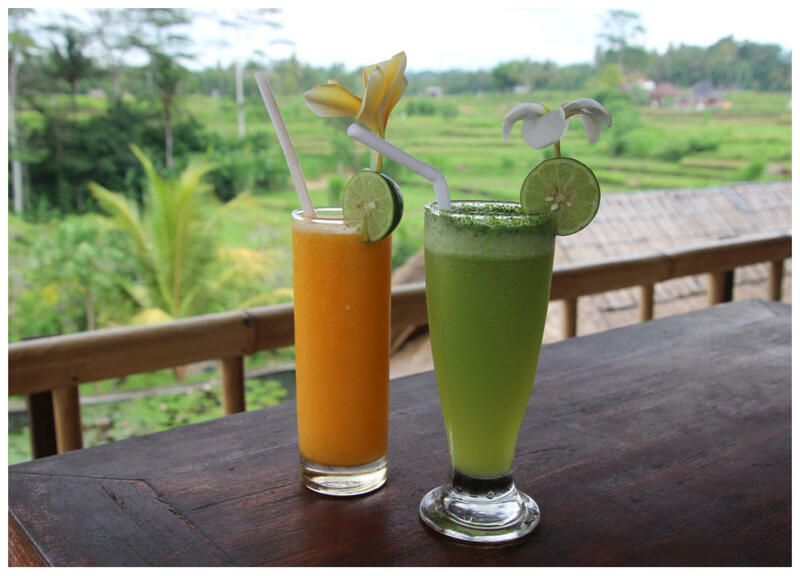 Bali is situated between the island Java and Lombok. Bali is a small tiny island, stretching approximately 140 km from west to east and 80 km from south to north. Located just 8 to 9 degrees south of the equator, Bali boasts a tropical climate with just two seasons (wet and dry) with an average temperature around 28C. 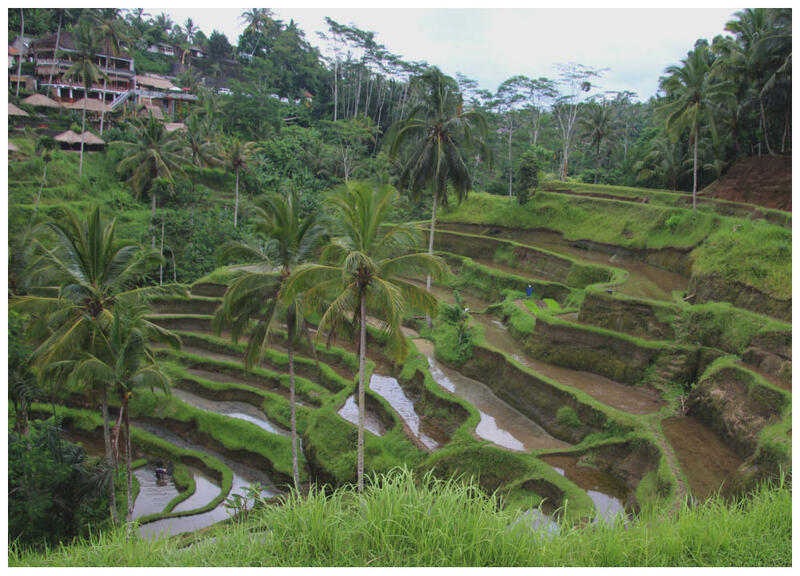 The wide and gentle sloping southern regions play host to Bali’s famed rice terraces, which are among some of the most spectacular in the world. In the hilly northern coastal regions, the main produce is coffee, copra, spices, vegetables, rice and cattle. The tallest of a string of volcanic mountains that run from west to east is Gunug Agung Volcano, which last erupted in 1963. The resort, in the far north west, close to Java,is relaxed, casual and quiet, with excellent snorkelling on site at Bajul Bay and snorkelling/diving off Menjangan Island. ‘Menjangan’ is a Balinese word meaning ‘deer’ and indeed the deer roam freely at the resort and on the island. 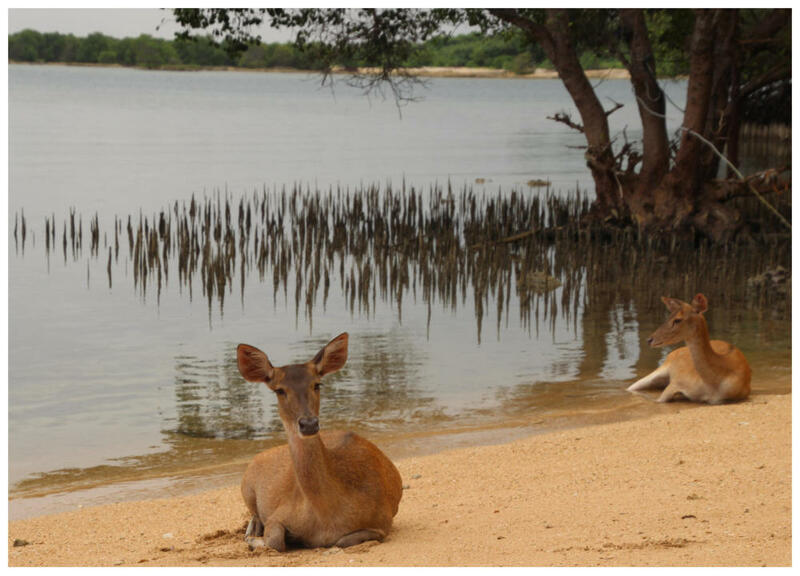 At The Menjangan resort, the deer were often seen on the beach, cooling off in the sea water. The resort, in the far north west, close to Java,is relaxed, casual and quiet, with excellent snorkelling on site at Bajul Bay and snorkelling/diving off Menjangan Island. ‘Menjangan’ is a Balinese word meaning ‘deer’ and indeed the deer roam freely at the resort and on the island.